Lemon pickles are served along side Indian and Pakistani dishes. They are great with biryani or any one of the many rice dishes. If you love lemons, this dish will thrill you. In a small frying pan place the oil and heat slightly. Add in the spices and cook on low heat for 40 seconds. Stir the spices and do not let the garlic brown. Allow the spices to cool. Cut the lemons into quarters and pour the spices and oil over the lemons and mix well. Place the lemons and spices in a wide mount jar (1 gallon). 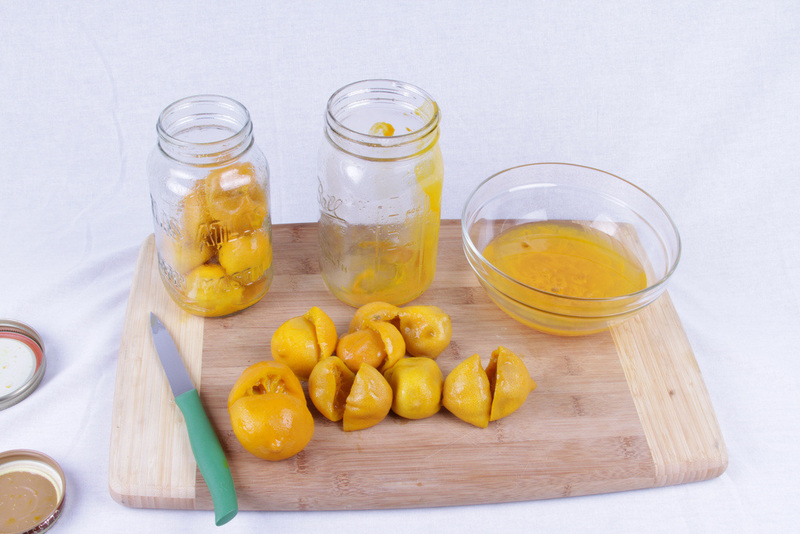 Seal the jar and leave on your kitchen counter, close to a window. Every 2 to 3 days shake the jar and allow the spices to mix well over the lemons. Every 4 days, open the jar and allow the gas to escape. You must wait 2 to 3 weeks before the lemons are properly cured. Place them in the refrigerator at this point where you can keep them for a few months. After life of lemon pickles are 3 months.